Provides a new collection of computer-generated three-dimensional images. This paperback treasury is perfect for the insatiable Magic Eye fan. This paperback treasury is perfect for the insatiable Magic Eye fan. Challenge family and friends to see who can view these 88 new eye-popping 3D images the fastest! 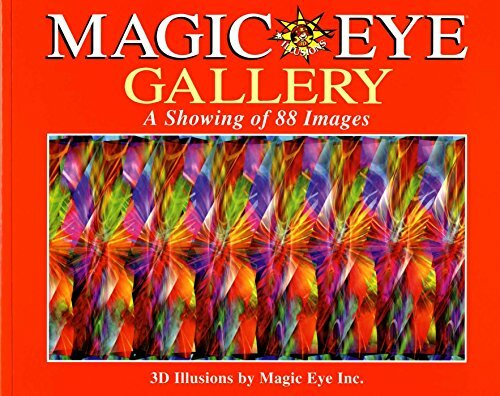 This book is popular among many Magic Eye fans, and a waiting room favorite in offices and schools.